Mid-week, hump day, only half way to the weekend -- how do we jump start our morning? Glasgow cowpunk, that's how! OK, Cuddly Shark, the new album by the band of the same name, isn't all cowpunk, but it has a thick vein of that style. More broadly, it is an indie rock album with plenty of punk style. However, Cuddly Shark is happy throw into the grinder whatever seems useful (a bit of gypsy on "La Barba"?). The lead vocals are often deadpan talk-sing, but the choruses invite everyone to sing along. The lyricism is quirky but very appealing, and often shaded with bittersweet or ironic humor. The performances heavily lean towards the up-tempo keep-the-patrons-dancing end of the spectrum, but penultimate track "Move On" displays a deft touch with the country ballad. We suggest you give this album a chance, and experience just how cuddly misunderstood sharks can be. The band consists of Colin Reid (vocals/guitar), Ruth Forsyth (bass/vocals), and Jason Sinclair (drums/vocals). The band was formed in the Highlands, but now resides in Glasgow. 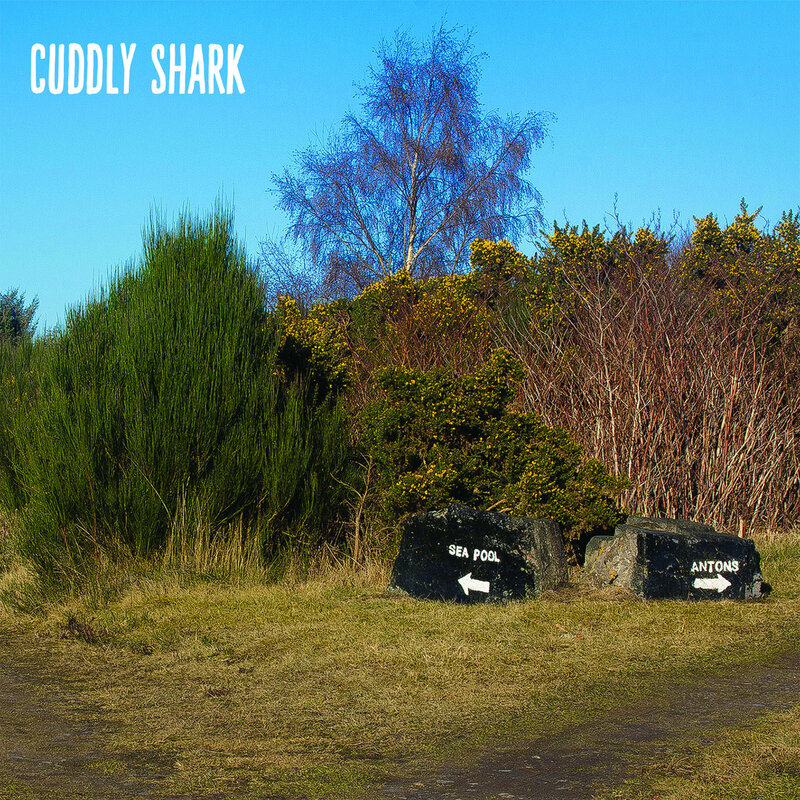 Cuddly Shark is their third album, and is out now in digital and CD formats via Armellodie Records.